The study mentioned above was conducted by neuroscientists at the Western University Brain & Mind Institute and launched in June 2017. Within the span of a few days, it garnered 40,000 participants from around the world. The study was conducted using an in-depth online questionnaire and a series of cognitive performance activities. The results were disturbing, but not necessarily surprising: half of the study’s participants reported sleeping less than 6.3 hours a night. Most of the participants that slept for 4 hours or less performed on cognitive ability tests as if they were around 9 years older than their actual age. Across all adults, 7-8 hours of sleep proved to be the ideal amount needed for highly functional cognitive behavior, which includes skills such as reasoning and problem-solving. An interesting finding was that people who slept more than that 7-8 hours were impaired just as much as those who slept less than that amount, and impairment due to too little or too much sleep was not affected by the age of the participants. Overall, reasoning and verbal skills were two of the actions most affected by sleep, while short-term memory was relatively unaffected. Giving yourself enough “sleep opportunity” – this refers to the difference between the amount of time you’re actually asleep versus the amount of time you’re in bed. For example, if it typically takes you about 30 minutes before you can wind down enough to fall asleep, give yourself 8.5 hours in bed instead of 8. If you have consistent trouble sleeping despite following the tips above, there might be a deeper problem at hand– you may be suffering from a sleep disorder like sleep apnea. People with sleep apnea often snore and persistently feel exhausted during the day even if they’ve gotten 7-8 hours of sleep. This is because their breathing is constantly being interrupted throughout the night, interfering with their sleep cycle, which drastically lowers sleep quality. 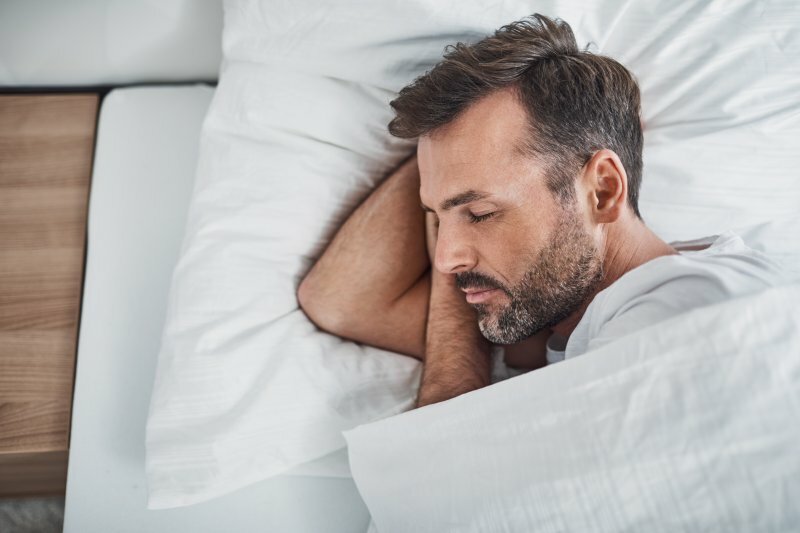 If you think sleep apnea might be keeping you from getting restful sleep, we invite you to schedule a free consultation with Dr. Jeff Rodgers, a dental sleep medicine practitioner with more than 20 years of experience treating sleep disorders. He can let you know whether or not you’re at risk for sleep apnea, help you get a proper diagnosis, and even provide you with a custom-made sleep apnea treatment in Atlanta.